From Alberto Verdejo 100% DO Rueda has obtained the distinction of Finalist as “excellent and highly recommended wine”, with a score of 93 points, attributed to its “tangerine and white pear aroma that entertains the senses, with a melon blow and salty minerals that draw attention and give way to a dry and crunchy finish “, as defined by the jury of this ninth edition of Ultimate Wine Challenge, one of the most recognized wine contests in the United States. 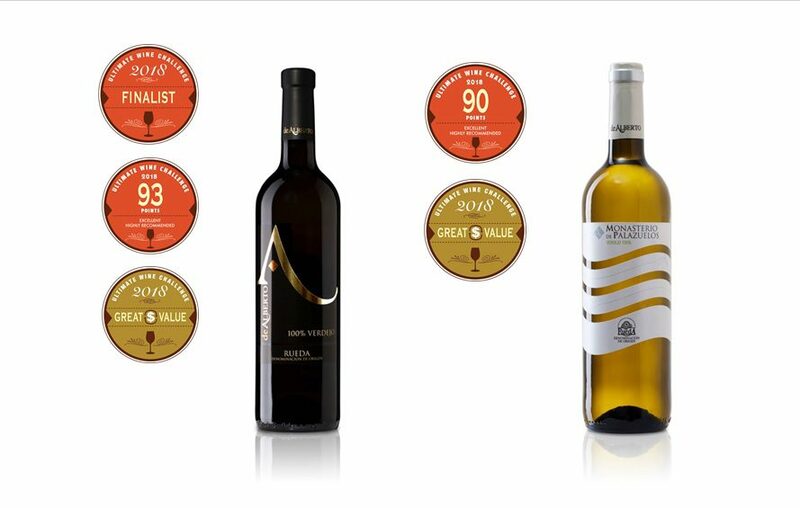 Bodegas Hijos de Alberto Gutiérrez has managed to distinguish his two wines presented to the competition with a score above 90 points and get the mention of Great Value, dedicated to wines that offer an excellent value for money. Monastery of Palazuelos Verdejo 100% DO Rueda, recognized with 90 points, has been described by the jury as “a refreshing, stony and long wine. 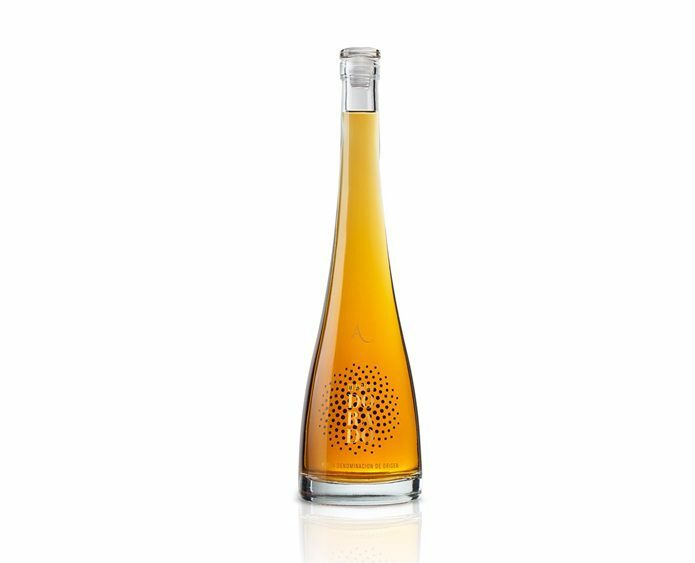 Herbaceous and spicy on the nose with touches of white pepper, tarragon, green apple skin and nectarine, while in the mouth the minerals are more evident as well as citrus and stone fruits “. 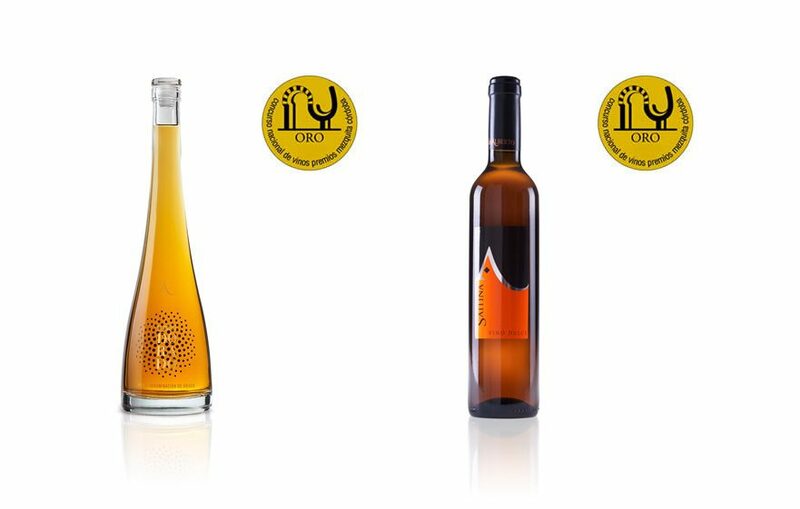 These awards are added to the important prize list obtained in 2018 for these wines in other competitions and publications, such as the Gold Medals at the Berliner Wein Trophy and Silver at the Bacchus and Mundus Vini awards, for Palazuelos Verdejo Monastery 100% DO Rueda , or the Bronze Medal obtained recently in the ‘Decanter World Wine Awards 2018’ by De Alberto Verdejo 100% DO Rueda, among other awards. With a jury made up of 14 leading wine experts, buyers, journalists and educators worldwide, Ultimate Wine Challenge has become the largest showcase of the world’s wine diversity with more than 1,300 references of quiet, sparkling, fortified wines, ciders and sakes from around the world. 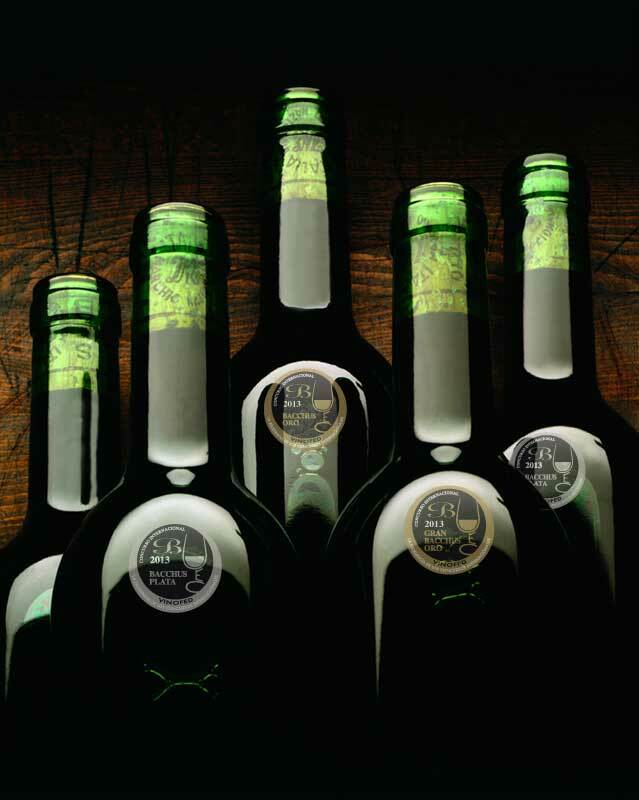 The Spanish Federation of Winemakers’ Associations distinguishes De Alberto Dorado in a first edition characterized by the predominant participation of Sherry wines. De Alberto Dorado 100% Verdejo DO Rueda has been awarded the Gold Medal in the first edition of the VINESPAÑA 2018 Wine Contest, organized by the Spanish Federation of Winemakers Associations (FEAE) and by the City of Jerez, and endorsed by the Ministry of Agriculture and the Union Internationale des Oenologues, an organization that brings together associations of winemakers from 16 countries around the world. 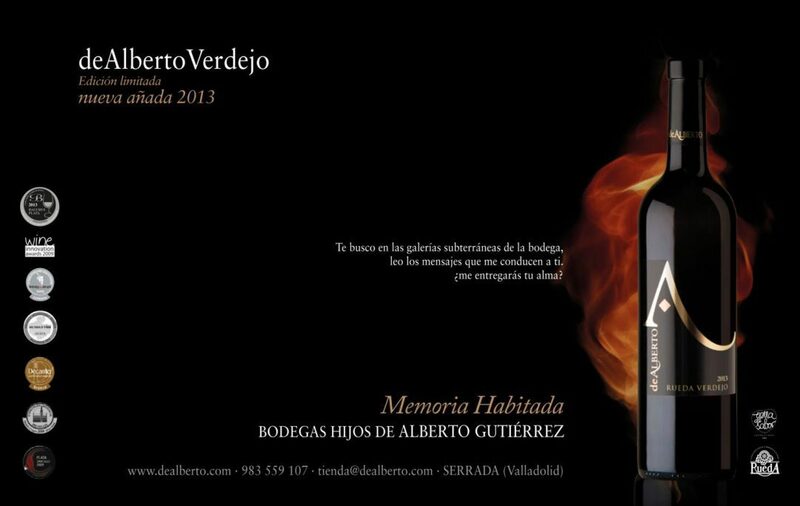 De Alberto Dorado 100% Verdejo DO Rueda, from Bodegas Hijos by Alberto Gutiérrez, achieved with this Great Gold a relevant recognition in the context of Sherry wines, of great historical prestige worldwide in generous wines of oxidative aging, category in which De Alberto Dorado is framed. This recognition is added, in addition, to the important list of awards obtained by this wine, among which is the Great Gold Medal in the Brussels World Contest. The Spanish Federation of Winemakers Associations (FEAE) announced yesterday the results of the first edition of the Vinespaña National Wine Competition, under the direction of Juan José Mesa and with the presidency of Santiago Jordi, after the celebration of the tastings of the wines to contest on April 19, in the Alcázar de Jerez. The jury brought together 40 of the most important wine tasters in the country, mostly winemakers belonging to the FEAE, who tasted more than 60 wines each, among the 380 wines of the country in competition, among which those belonging to side Jerez-Xérès-Sherry with more than 10% of the wines presented. Bodegas De Alberto is the only DO Rueda winery that, with its De Alberto Dorado Verdejo 100% DO Rueda, has maintained since its birth in the 40s the elaboration of the historic golden wine, rigorously adhering to the traditional methodology: developing a aging Oxidative in outdoor dams and a biological aging in large boots with a mother wine of more than 70 years. De Alberto Dorado and Saitina, awarded with the Gold Medal in the 24 edition of the reference contest of generous wines of Spain. De Alberto Dorado 100% Verdejo DO Rueda and Saitina have been awarded two Gold Medals at the twenty-fourth edition of the Mezquita de Córdoba Awards, one of the most important wine competitions in Spain and the reference contest specialized in wines with generous oxidative aging, a category in which the award-winning wines of Bodegas De Alberto have stood out. The contest, organized by the associations Aula del Vino and the Wine Academy of Córdoba and endorsed, year after year, by the Ministry of Agriculture, Food and Environment and by the Ministry of Agriculture and Fisheries of the Junta de Andalucía, aims to the recognition of the quality of the wines presented, as well as the dissemination of the oenological culture and the support to the wine growers and producers. The results were announced this week after the deliberation of 35 wine tasters from all over Spain, about 320 wine samples presented, 80% Spanish, and 20% Portuguese. This Gold Medal for De Alberto Dorado 100% Verdejo DO Rueda, from Bodegas Hijos by Alberto Gutiérrez, joins the Great Gold Medal obtained just a week ago at the Vinespaña National Wine Competition 2018, as well as the important prize list of prizes obtained by this wine, among which is the Great Gold Medal in the Concours Mondial de Bruxelles. Bodegas De Alberto is the only DO Rueda winery that, with its De Alberto Dorado Verdejo 100% DO Rueda, has maintained since its birth in the 40s the elaboration of the historic golden wine, rigorously adhering to the traditional methodology: developing a aging Oxidative in outdoor demijohns and a solera aging in large boots with a mother wine of more than 70 years. The Gold Medal of the Mezquita Awards also for Saitina, is an important recognition for Bodegas De Alberto in regards to its elaborations of generous wines with oxidative aging. Saitina has been appreciated as a sweet white wine with a clear and clean aroma, with a memory of raisins and dates, and sweet and unctuous on the palate. The organization of the International Competition ” Berliner Wein Trophy” was awarded the Gold Medal for the Verdejo ‘ Palazuelos Monastery ‘ , a wine high demand at this time of year for their perfect harmony with the appetizers. Its fruity , dry touch made ​​with the Verdejo grape DORueda native has become one of the best wines with market penetration and gastronomy fairs . Last placed second in the Sarmiento awards contest that gives the best young Verdejo wine of the year . Prizes awarded by the Berliner Wein Trophy have achieved international recognition for its exclusivity and momentum in each issue to improve the quality of the selection. This February 2014 , celebrated its 18th edition in Berlin (Germany ) sponsored by the International Organisation of Vine and Wine ( OIV) , who last year agreed on a maximum of 3,500 entries in each of their tastings . The delimitation of participation is a plus value for both participants and winners and one of the most desired by Bodegas worldwide awards. deAlberto still betting on the European market to present their wines . last February 24 he moved to Amsterdam to present the new vintage of our deAlberto Verdejo 2013 . During the conference held at the Hotel Casa 400 tasting was conducted in collaboration with the PR agency Melman Communications. 2014 begins with good prospects for the world of wine. Closing the year 2013 casts a new record in value of exports reach € 2,628 M , representing more than 162 M invoiced in 2012. Moreover, the good harvest last fall in Spain also favors a volume recovery , which begins to climb since last August and has now reached 1,847 Ml , although still far from the record of 2,300 M of early 2012. The Netherlands has become , in recent years, a favorite for Spanish wine export destinations . A strong wine culture and personality of our wines have captured the palates of the region. January is a month of balance and is also the time to sit and reflect on the goals we want to achieve in the new year. At the moment we are satisfied and rested for the warm welcome we had from nuestos wines in national and international competitions and above all and most importantly the reception of our consumers. 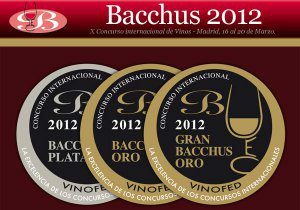 In March last year, the jury of the contest Inernacional X Bacchus Wines Bacchus Silver awarded to wines we GUTI Verdejo 2011 , Valdemoya Rosado 2011 Finca Monastery Palazuelos and 2011 . From Mundial’Bruxelles Competition 2012 ‘ we were awarded the Gold Medal for the CCL Team 2007. In the month of November 2013 edition of the iconic Guía which covers the wider representation of samples you tasted in Spain, including new vintages and brands that will be sold during 2013 was published. Here we meet again with 91 points as featured De Alberto Verdejo 2011 ( 100 % Verdejo ) , 90 points GUTI 2011 ( Verdejo ) , or 89 points paalazuelos Monstario of 2011 ( Rueda) results. In the last edition of the Awards of the International Wine and Spirits Competition , also known as CINVE , we were awarded in the category of still and sparkling wines, the silver award for our deAlberto 100 % Verdejo 2011 . As you can see , we started the year with very good taste and launching our next multimedia project that soon we will communicate .